Peripheral Catheters and Infection Risk – If You See Something … Say Something! Everyone who has ever stepped foot into a healthcare facility as either a patient or a visitor has undoubtedly witnessed the numerous patients attached to long lines of plastic tubing usually extending from the arm and connected to some type of plastic bag dispensing medication or some other vital necessity. In most cases, these devices are peripheral venous access catheters (i.e. peripheral catheter) – although as a kid I just used to call it “intravenous”. Today there are many different types of catheters but the peripheral catheter is by far the most commonly used device for vascular access with over 300 million used each year in US hospitals alone – almost one per every person living in the United States today and studies have shown that greater than 70% of all patients will require one of these catheters at some point during their hospital stay. 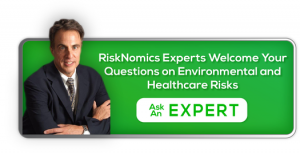 Most people have also unfortunately had some type of personal experience or know of someone who has had an experience with a healthcare-associated infection (HAI) with nearly 100,000 deaths occurring annually and statistics showing that there will be one infection for every twenty patients entering an acute care facility today. These infections can result anytime the skin is penetrated creating a portal of entry for organisms to enter the bloodstream and create havoc. When a catheter is inserted, the needle and catheter penetrate the skin and while the needle is removed, the catheter remains- potentially 300 million of them every year creating 300 million portals of entry for infection. Yet most studies will tell you that infection rates are very low with these peripheral catheters– however even a rate of .1% would yield 300,000 infections-a staggering number. A recent study in fact estimated that as many as 10,000 bacterial staph infections originated from peripheral catheters … and maybe more surprising is that we really don’t know how many of these infections are occurring because many times the source of the infection is not identified since these types of catheters are usually in place for very limited periods of time in patients who often leave the hospital before an infection is even evident. 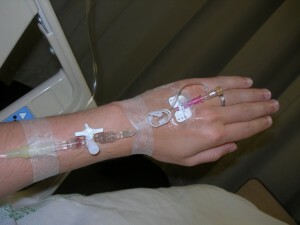 Despite the paucity of studies with respect to peripheral catheter infection risk, there are certain known risk factors which have been identified which can increase the risk of infection and which every non-clinician should be interracialdatewebsites aware of if you or a loved one wakes up one day with a catheter in the arm (even if just for a few hours). Many of the risks pertaining to catheters occur at the insertion and/or maintenance phase of the catheterization process. While some of the above items may appear obvious, it is surprising that so many patients and patient families are not comfortable speaking up in the healthcare environment when they feel something is not correct. Unfortunately today, the burden on nursing staff is overwhelming and only getting worse which makes it ever more important that everyone take a vested interest in patient care. Identification of an issue pertaining to a peripheral catheter can save lives and expense, improve patient care, reduce hospital stays and mitigate liability.